"The Specialist Classical Chart will be a new and significant part of our Radio 3 programming, providing our listeners with more insights into the classical music recording market. 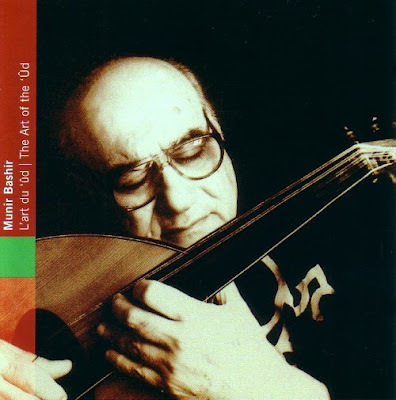 My own unmediated voyage of discovery has taken me to the music of Iraq and Munir Bashir, genius of the oud. Munir Bashir was born in northern Iraq in 1930 and spent the early part of his career in Baghdad. He left Iraq for Hungary in the early 1960s where he studied with Zoltán Kodály. In 1971 Bashir made a commercial recording for the French national radio station ORTF which launched his career in the West and was largely responsible for popularising the oud with Western audiences. Minir Bashir died in 1997 aged just 67. Music then is of divine origin and its genesis is directly linked with Creation and the cosmos: the planets and all the elements of nature form a setting in which music has an integral part. This gives rise to a symbolic vision of the universe, according to which the two principles of creation - the god of good and the god of evil - were both singers and everything is animated to music, which in itself is part of god; the planets which guide man's destiny play a primordial role. Each of the twelve maqām corresponds to one of the twelve signs of the Zodiac. This in turn leads to associations with the four elements: wind, fire, earth and water, as well as with numerals and letters of the alphabet, in a mystical allegory. Credit should go to the Ocora label for restricting the the CD to the original 41 minute LP programme rather than padding it out with aurally disconnected bonus tracks from other sessions. Ocora was founded in 1957 by composer, pianist and musicologist Charles Duvelle with assistance from Pierre Schaeffer and is now part of Radio France. A 1968 Ocora disc Musique du Burundi spawned the Burundi Beat phenomena which became a UK chart success for Adam and the Ants and Bow Wow Wow and went on to become an underground club classic as well as an example of how copyright for a rhythm is a difficult proposition. And that mention of the charts takes this unmediated voyage of discovery full circle. The invaluable essay for the Munir Bashir disc also contains explanatory musical examples of oud tablature. Or should that be oud charts? More lessons for less lute here. * An Ocora CD of North Indian ragas featured in a post here. Great news that the Classical Chart has been dropped. Does that mean we will spared the disgusting Andre Rieu disarrangments of J. Strauss as top of the chart every week?